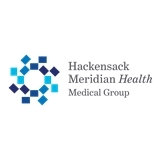 HMH Medical Group OB/GYN, Wall & Jackson (Wall Township) - Book Appointment Online! Our mission at Monmouth County Associates is to provide exceptional women's healthcare in a warm and welcoming environment. Everyone in our office works together as a team to achieve one unified goal. That goal is to exceed the expectations of our patients. By striving to achieve the highest level of patient satisfaction, we will earn their trust and loyalty. Dr. Kathleen Walsh is very kind and listens to your concerns. I always have a positive experience when I have an appointment with Dr. Aikman. Her office is well run--I have never waited more than 5 minutes and she is a great doctor. Very professional and easy to talk to. I appreciate how very kind and understanding and considerate that Dr. Tomaro and his assistant (I'm so sorry I do not recall her name) were to me. (I was molested by my mother from 5 to 15 and have avoided all intimacy since, so this yearly ordeal is extremely stressful for me). I am so glad my aunt recommended this practice to me. She was very nice and took time to explain everything to me. Very caring person. Very professional. An excellent physician! I am a nurse and work in a primary care clinic and I will recommend her to my patients who need an on/gyn.